We all know that Black Friday is a hectic, and sometimes fun, day. After all the stress and frustration from Thanksgiving many folks look forward to getting some great deals on Christmas gifts, so it is no wonder that Black Friday is such a massive ordeal. 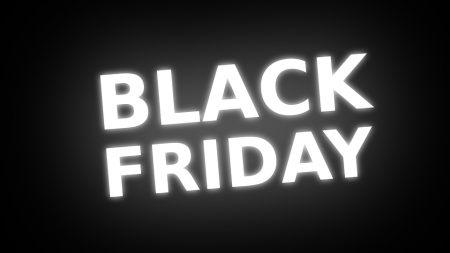 With millions of shoppers expected to be out on Friday, everyone could use a little help looking for not only the best deals, but also the best timing and food to get. Check out this guide to get Kik to help you out this Black Friday. Before we get into some great Kik bots to use for Black Friday, let’s go through a quick refresher course over what Kik bots are. Kik bots are little AI “bots” that either companies, or regular people create, to serve a function. Some Kik bots are games that you can play, others tell you how to step up a dorm room, and others actually help you shop. There are, of course, many other types of Kik bots out there for you to check out, so let’s go over the ones that will help you out for this Black Friday. Note: Kik bots are really the shining star that Kik has, so our main focus in this guide will be Kik bots. If y’all have other ideas of how Kik can help, let us know in the comments below! You can get this bot from the Kik Bot Shop here. The first bot on our list is the Black Friday Survival Guide. This bot gives you a bunch of different tips and ideas to help you decide where the best places to shop are. This also helps you make sure that you save the most money possible and that you are getting the best deals possible. This won’t necessarily tell you exactly what stores are selling what, but you can still get some great ideas from this about deals. You can find the Kik bot ShopSwag from the Bot Shop here. This is a really nifty bot that isn’t necessarily made for Black Friday, but it can definitely help you out for Black Friday. This bot is basically a form of a personal shopper, where you tell it what items you like and it tells you where to look and what to look at. This will definitely come in handy when you are at a store and need to find something particular, you can use this bot to get different ideas for what you’re looking for. This bot will give you different ideas for not just clothes, but also things like makeup, shoes, and many other items. Don’t use this bot expecting it to tell you where in the store to find the items (especially on Black Friday), but the ideas it will give you should really help you out finding that perfect thing you’re looking for. You can get the Shop Kik bot from the Bot Shop here. This is another bot that isn’t necessarily for Black Friday, but can be used to help you shop on Black Friday. When you use this bot you can tell it what you are looking for, your budget, and even color choices and this bot does the work for you to tell you where to find it. Now don’t expect this bot to tell you where to shop on Black Friday but you will be able to find what it is you are looking for. What is cool about this bot is that you can bring this bot in into a conversation with your friends so y’all can all use the bot together and work together on shopping. That could come in handy when you are shopping with a group so y’all can all keep an eye out for the items you are wanting. You can get the Weather Channel bot at the Kik Bot Shop here. So, no, this bot has nothing to do with shopping. No, we aren’t confused about what guide we are writing for y’all. This bot will give you the weather forecast for wherever you are or will be. So that means you can get to see what the weather will be on Black Friday so you can plan (and dress) accordingly. If it is supposed to be pouring rain then you might want to bring a rain coat and umbrella and decide what stores to go to. For example, we have an outlet center nearby that is all outdoors, so anyone who goes there will need to pan on being exposed to the weather. Sure, this may not be super exciting to some of y’all, but it is certainly helpful. You can get this nifty bot in the Bot Shop here. After a long day of shopping you will probably be starving, so this bot will help you out. All you need to do is open this bot up and it will help you decide on any chain restaurant to go to, whether it is McDonald’s or Olive Garden, this bot will help you out. Now, this bot is limited to only chain restaurants, so if you want something local then you will probably need to go on Google or another app to help you choose. The final thing that Kik has that can really help you out on Black Friday is group chat. I don’t know about y’all, but Black Friday is not very fun without friends or family to go with to face the crowds with. Well you can very easily make a group chat on Kik to be able to talk to your shopping squad so everyone knows the plan for that crazy Friday. We hope that everyone has a great Thanksgiving, and stay safe and use Kik on Black Friday!